Agreeing with his predecessor the FBI should pursue “quality” investigations, in 1978, Director WILLIAM H. WEBSTER identified White Collar Crime, Organized Crime [OC], and Foreign Counterintelligence as the Bureau’s top priorities. Thereafter, FBI officials quickly identified case code named, “OPFOPEN; Office of Origin: Indianapolis;” as an example of the type of White Collar Crime case agents should pursue, adding the designation “MAJOR CASE #1.” Accordingly, members whose background also includes FBI White Collar Crime can be a great asset to someone looking for an investigator and/or needing an expert conducting a fraud investigation. As background information, the OPFOPEN investigation concerned two Bureau agents acting in an undercover capacity, posing as financial consultants, to investigate globe-trotting conmen headed by PHILIP KARL KITZER who used a network of offshore banks set up in the Caribbean and abroad to conduct fraudulent transactions, and use national borders to evade prosecution. Seeking to enhance the FBI’s White Collar Crime Program, Director WEBSTER directed Bureau officials to recruit more Special Agent Accountants [SAA] and sought an increase in the FBI’s use of undercover operations investigating corrupt public officials. 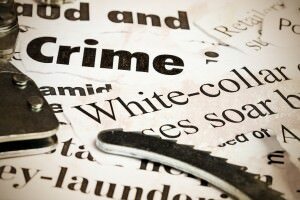 Designating White Collar Crime a national priority, the White Collar Crime section quickly attracted talented investigators and within a short period of time established itself as an aggressive crime fighting unit. Using an informant developed in the OPFOPEN probe, in July 1978, the White Collar Crime section initiated the controversial ABSCAM investigation wherein six  members of Congress were prosecuted for soliciting and receiving bribes from an FBI undercover agent posing as an Arab-Sheikh. Beginning with the ABSCAM and earlier OPFOPEN probe, the Justice Department and journalists have repeatedly recognized the FBI’s White Collar Crime Unit as being responsible for some of the Bureau’s most successful undercover operations, citing cases code named GREYLORD that concerned Chicago lawyers and jurists “fixing” traffic cases, and Operations LOST TRUST and BRISPEC that concerned state legislators being prosecuted for soliciting “bribes,” in exchange for official legislative support. In the BRISPEC investigation—a three  year undercover probe, circa 1985-88 where agents secured the passage of two  legislative measures in exchange for bribe payments, and executing search warrants inside lawmakers offices inside the California State Capitol—fourteen  elected and appointed officials were prosecuted/convicted on White Collar Crime and corruption violations using the Racketeer Influenced Corrupt Organizations [RICO] statute which included four  California State Senators, the Minority Leader of the California State Assembly and a leading lobbyist for the insurance industry who sought to influence workers comp legislation in exchange for a “bribe” totaling $250,000. Members who have listed FBI White Collar Crime as a skillset can be extremely helpful to law firms, security professionals and journalists, looking at a fraud investigation, needing an investigator to conduct a criminal or civil probe, an expert to render a professional opinion and/or someone to provide media commentary. Asked to review evidence in a fraud case, members listing FBI White Collar Crime can also analyze documents, provide testimony and/or produce an affidavit documenting facts. Besides the FBI White Collar Crime skillset, these members also have important organizational, reporting and interviewing skills, needed to conduct a fraud investigation and/or collect evidence in a fraud case. Worried about fraudulent schemes and stolen identities, members listing FBI White Collar Crime in their profiles can readily provide insight and suggestions, enhancing a security plan. Listing FBI White Collar Crime as a skillset these members are indicating they have training, expertise and contacts, at the local, state and federal level—necessary to safeguard against fraudulent schemes. Likewise, members who have listed FBI White Collar Crime as a skillset can provide media commentary to journalists, wanting to write an article or produce a story about fraudulent schemes. Members with FBI White Collar Crime as an expertise can often provide information and facts about fraudulent schemes, useful to enhance and/or document a story. And many FBI White Collar Crime members also have media experience, working with print, television and radio mediums, providing in-depth commentary and/or interesting sound bites depending on what’s needed. Looking for an FBI White Collar Crime—visitors need only use the website’s search feature, entering the appropriate skill, as well as the geographical area of preference to make contact with an FBI White Collar Crime using the information provided. Retired FBI Agents and Analysts, interested in securing a Directory listing and/or a personal email address who have a background that includes FBI White Collar Crime, need only submit a brief online application to join the website.